System software is a program that control the computers hardware or that can be used to maintain the computer in someway that it can run efficiently. There are three basic types of system software. An operating system tells the machine how to use its own components. Operating system is essential for any computer because it acts as interpreter among the hardware, application program and the user. When a program want the hardware to do something, it communicates through the operating system. When user wants the hardware to do something, the request of the user is handled by the operating system. 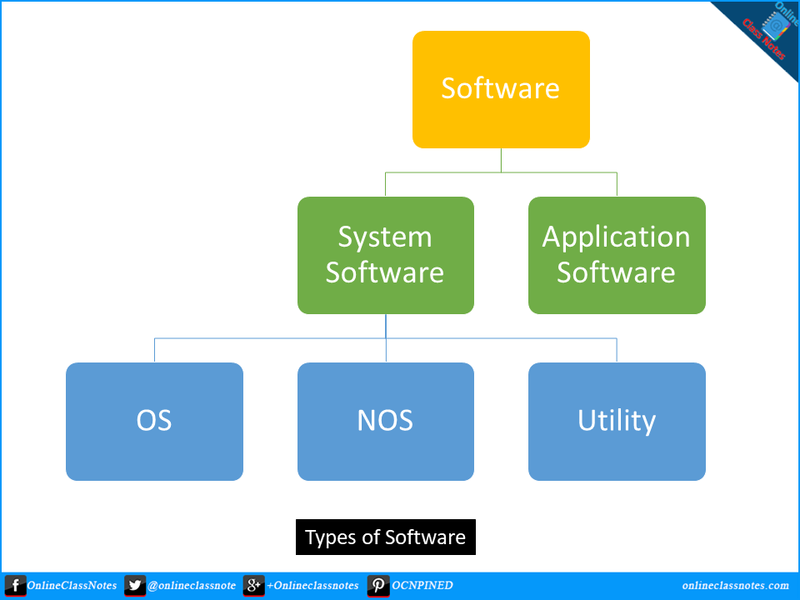 Examples of operating systems are Windows, Linux etc. A network operating system allows computer to communicate and share data across a network while controlling network operations and overseeing the network security. Operating system software can also be used as network operating system software, nut the performance of securing data on network is much better in network operating system software. Examples are Linux, Unix etc. An utility software is a program that makes the computer system easier to use of perform highly specialized functions. Utilities are used to manage disks, troubleshoot hardware problems and perform other tasks that the operating system by itself may not be able to do. Examples are Disk Manager etc. Application software are programs used for specific purpose or software use to perform various tasks are called application software. These software can be used for word processing, photo and video editing and for many purposes. Some application software are Microsoft Word, Adobe Photoshop etc.